Eating healthy is all well and good, but do you ever wish that you could go back to middle school and just walk over to the fridge and grab a pudding cup? No thought about the health benefits, sugaryness, or where that pudding came from? Or is that just me? Those were simpler times full of super tasty snacks. But I have to tell you that I may have found our adult replacement. 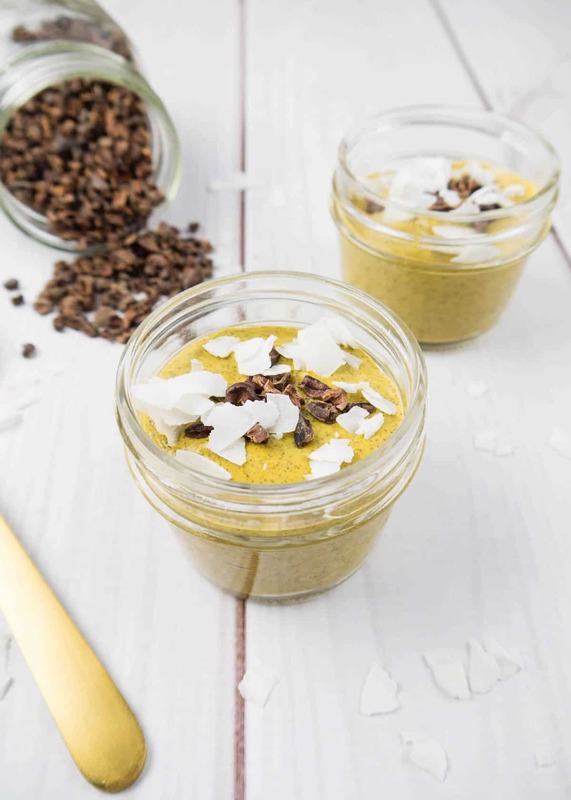 These Turmeric Chia Pudding Cups are ridiculously delicious, super quick to make and much more nutritious than an old school pudding cup. Plus, when you store them in these adorable mini mason jars, they’re just as grab and go! The key to good chia pudding is to blend the mixture after it’s given a few hours to set up in the fridge. Some people love the soaked chia texture, but I prefer this smooth creamy version. That truly does remind me of those old pudding cups. 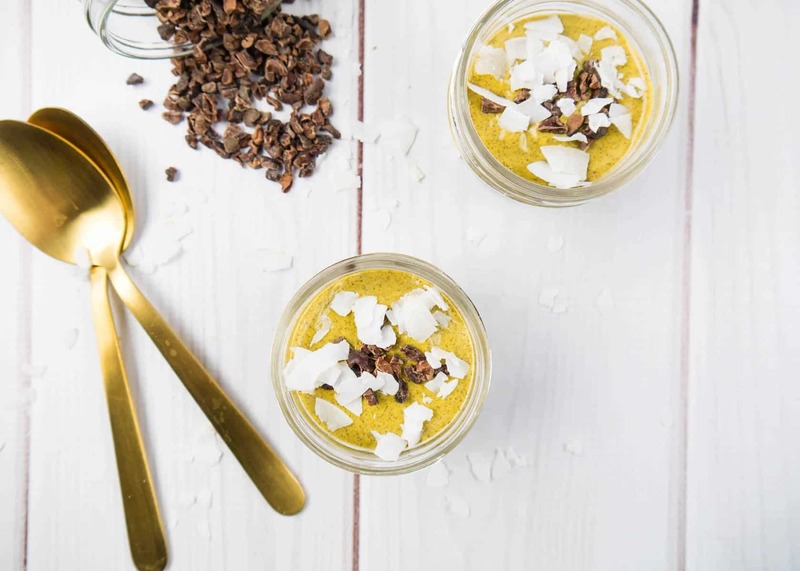 Although I’ve made this chocolatey version and this pumpkin version, this Turmeric Chia Pudding may be my favorite! It’s super nutty and pops with the turmeric and cinnamon flavor. And it’s terribly delicious with a sprinkle of cacao nibs and coconut flakes! Plus, if you’re paying any attention, you’ll know that turmeric is super hip right now in everything from lattes to soup to everything in between! That’s because turmeric is the golden girl of healthy eating at the moment—it’s shown amazing results in aiding inflammation, weight loss, acne, arthritis pain and much more. Learn all about turmeric’s many health benefits here! 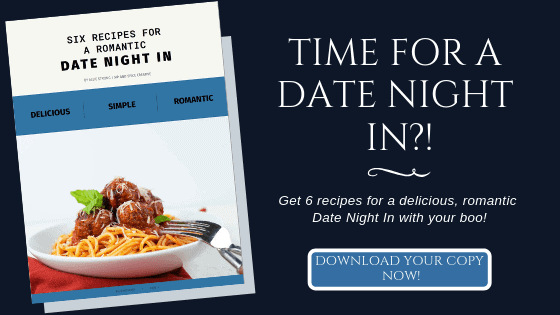 Cover in plastic wrap and refrigerate for 4 hours or overnight. Pour the mixture in a high speed blender, and blend on high for 1 minute until smooth. Serve with a sprinkle of coconut flakes and cacao nibs. Store in a glass container for up to 5 days.